This book is dedicated to any leader, from the Church-house, to the White House who has been judged for making mistakes that pushed you to the deep end of sin, resentment, rejection or denial. 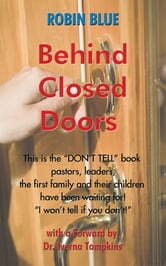 You are not alone, and you will walk into your strengths and understand your weakness through the Power of Forgiveness.In this book there are many doors that are going to be exposed.Some of you are hiding behind those very doors as you read this page. Perhaps you are one of the ones who have locked yourself Behind Closed Doors and either lost the key or simply thrown it away.But as you read this book, you will find the key to all of your hidden crap and you will believe within yourself that things can get better and that you are not alone. 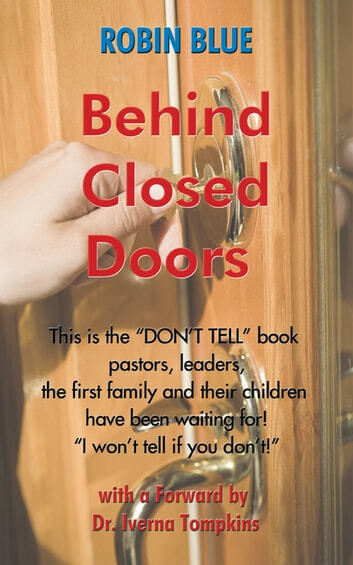 So if you are a pastor, pastors wife, a leader,the children of the pastor or the child of any leader, this book is dedicated to you.I have seen both sides of the coin and its time to speak up and speak out.